Navigating the world of soaps can get complicated with all of the different options available today. These little bars are tasked with keeping our largest organ, our skin, clean, so it’s important to understand the difference between the commercial products that can strip the skin of its precious properties and the natural soaps that actually deliver the ultimate goal of cleansing with some bonus benefits. 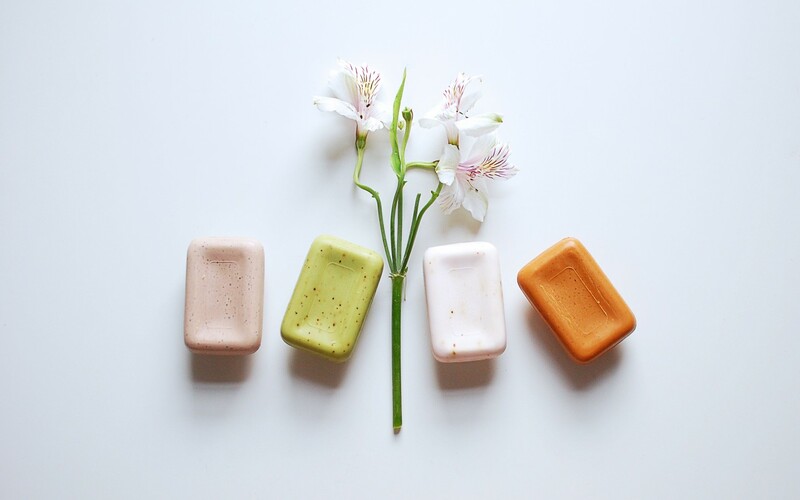 With the popularity of washes, rinses, cleansing lotions, oils and grains, soap can get left behind in the vast field of cleansers, but bars made with the right natural ingredients can be just as effective as their counterparts. So if soap is your preferred mode of lathering up, here are some ingredients you should avoid to stay safe and healthy. The FDA doesn’t require companies to list the breakdown of a product’s fragrance ingredients because those formulas are considered proprietary. This means that when you read the ingredient labeled “fragrance,” it could include of a number of synthetic chemicals and carcinogens, such as phthalates that have been shown to adversely affect the central nervous system, and can trigger dizziness, rashes, headaches and nausea (among other conditions). So while “fragrance” might make the bar more appealing at first, the long term effects of these seemingly sweet scents are far less appealing over time, and should be avoided. A rule of thumb: If an ingredient is vague, avoid it. You should always know what’s in a product, and what’s going on your body. Alternative: Select bars that list the specific natural essential oils that give the soap its scent, deliver healing aromatherapy and treat the skin. Parabens are commonly used preservatives that mimic estrogen, so when they enter your system, your body mistakes them for the hormone. When the body detects what it thinks is a high amount of estrogen in the bloodstream, it triggers different responses including a loss of muscle mass, accelerated puberty, reproductive issues and increased fat deposits. Studies have also shown that repeated exposure to parabens can increase a woman’s risk of developing forms of breast cancer. Alternative: It’s a simple one. If you see methylparaben or propylparaben in a product, set it aside and move on to one clearly labeled paraben-free or that doesn’t list them in the ingredients. It’s a matter of preference, but some people don’t feel as though they’re getting clean unless their cleanser produces a soapy lather. Unfortunately, in many commercial soaps, chemicals are responsible for producing those sought after bubbles. Common sulfates, such as sodium lauryl sulfate and sodium laureth sulfate can strip the skin of its natural oils and irritate sensitive skin. Alternative: You’re not going to get an abundance of lather with a natural soap, but those that contain higher amounts of coconut oil or palm kernel oil will produce more of a lather than almond oil, for example. It’s understandable that you want your soap to get you as clean as possible, hence the allure of antibacterial soaps, but the chemical found in most antibacterial products can actually trigger a toxic reaction in your system. Triclosan creates the carcinogen dioxin, which can have a harmful effect on the endocrine system and can negatively affect the function of your thyroid. Alternative: Studies show that cleansing an area rigorously with soap and warm water for at least 20 seconds can help prevent the spread of illness and infection. Choosing to avoid products that contain these toxic, hormone-disrupting ingredients will make selecting the right soap so much easier. Bars that contain saponifed olive, coconut or shea oils and essential oils like lavender, rosemary, vetiver and rose will smell delightful and infuse your skin with replenishing moisture and healing benefits. Soapwalla: With options like Lavender & French Clay, Cardamon Ginger, Activated Charcoal and Petitgrain, and Shea Butter, Tangerine & Clay, you’re bound to find one that’s perfect for your skin’s needs (and makes your nose happy!). Kahina Giving Beauty: All of Kahina’s soaps are infused with their ECOCERT argan oil, making them incredibly moisturizing while they cleanse. Check out the Goat Milk & Honey Argan blend, the Lemongrass Nettle Argan scent or the Rosemary Lavender Argan combination.